This Guide provides off-road racers with everything you need to know about SFI 27.1 Window nets. What they are, why do you need them, and if your race sanction requires them or not. Why do we need side window nets? Window nets are seen as a vital safety product for a variety of open cab vehicles. Many off-roaders like to run them because they stop large rocks and chunks of mud from flying into the cab. More importantly however, the nets keep the occupants inside of the cage during a rollover. Yes.. if you’re wearing a harness properly, it will keep you locked down in your seat. But a harness only secures your torso. Hands and even your head (without a Hans device) are still free to move around, and possibly get caught outside the cage during a rollover. Because of this, many of us are taught that during a roll, we need to hold on to the steering wheel or onto our harnesses. But thats not always easy to do. In the video below, you can see that even when the driver is intentionally trying to tuck, the centrifugal force of the roll still pulls him against the window. Because of this risk, most off-road racing sanctions require some form of protective window nets to be installed on race vehicles. Many have adopted the SFI 27.1 standard in their rules. The SFI Foundation, Inc. (SFI) is a non-profit organization established to issue and administer standards for the quality assurance of specialty performance and racing equipment. They have served the automotive aftermarket and the motorsports industry since 1978. Because they are used in race situations, SFI has stricter requirements for strength and safety than you might find on window nets meant for a play vehicle. Greater speeds = Greater risk. Which means that safety equipment needs to perform under those conditions. -Nets cannot allow a 3” diameter ball to pass through it. -Nets must survive a 175lb punching bag from a fall of 26.5 inches. We filmed the video below with two different window net designs. One shows a design that failed the test. The second shows a design that passes. SFI’s requirements only really cover the strength of the net and mounts, but most racing sanctions have other requirements that you should keep in mind. -Window Nets should cover the complete open area of the cockpit on both sides of the vehicle to the extent that it is impossible for any limb or body part of any occupant to protrude from the vehicle at any time when the occupant is properly seated and strapped in their normal driving/riding position. – Nets should be installed on the inside of the roll cage to prevent them from being damaged or coming off in a roll over or slide on the side. -Nets should be installed so that the occupants can release the netting unassisted and exit the vehicle regardless of the position of the vehicle. – Nets should be tight, so that when pushing a force of approximately 50lbs the net deflects no more than four inches. SFI Certification is only valid for two years after the date of manufacture. After that time they will need to be replaced. Why? The webbing material starts to lose its strength over time from UV exposure. After a lot of testing, SFI determined that two years is the appropriate time frame when nets will still be strong enough to pass certification. Where can I get SFI Certified Window Nets? Many companies offer SFI certified window nets, including PRP. We can create custom window nets for almost any vehicle. Whether your racing or just trying to add additional safety. All we need is a detailed template. Check out the specific requirements for your racing sanction. SCORE – CR35 Safety Nets – SCORE approved safety nets are mandatory on all vehicles. Read more for exact specifications. 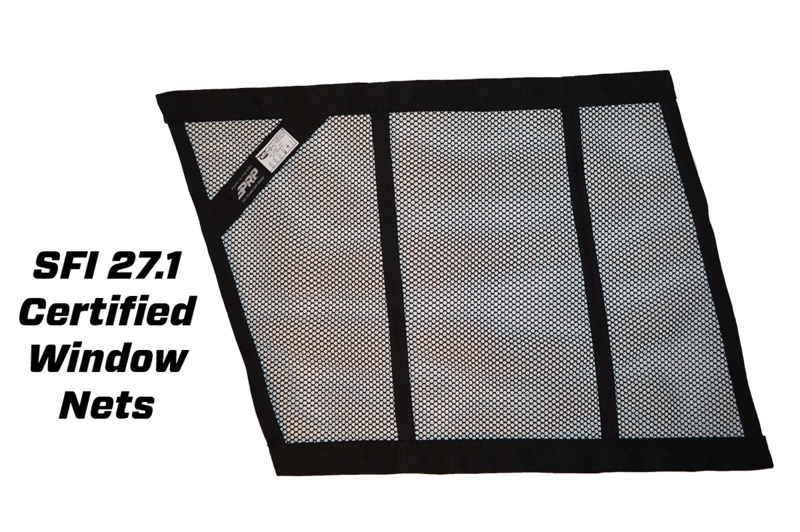 Snore – CR35 Safety Nets – SNORE approved safety nets are mandatory on all vehicles. Read more for exact specifications. Ultra 4 – 8.2.2 Safety Nets – Window nets shall meet or exceed SFI 27.1 Specifications for all classes. WORCS – 25.8 – Driver & Passenger side nets or hand restraints are required. Read more for exact specifications. 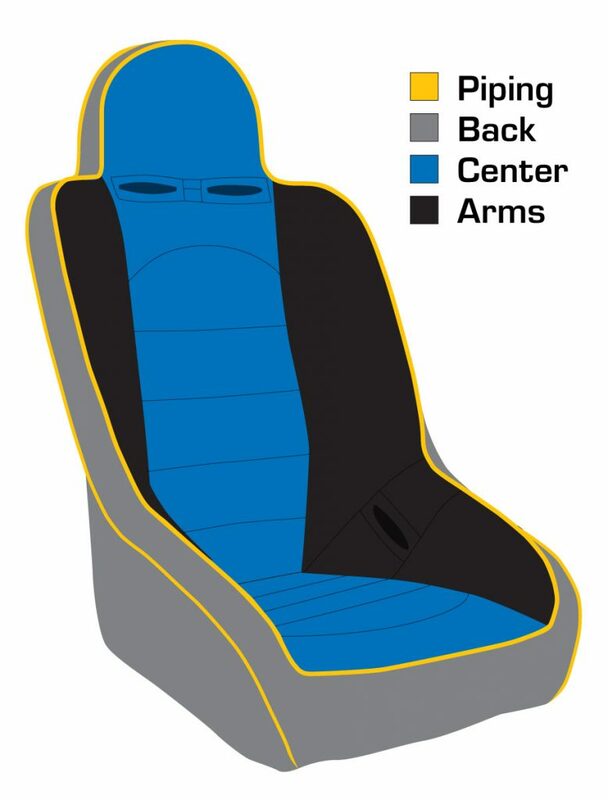 SRT8 UP SXS Series – Drivers helmet must be a minimum of a fist width from any part of the roll cage. If not a interior safety net will be required. M.O.R.E – Safety Nets – MORE approved safety nets are mandatory on all vehicles. Read more for exact specifications. 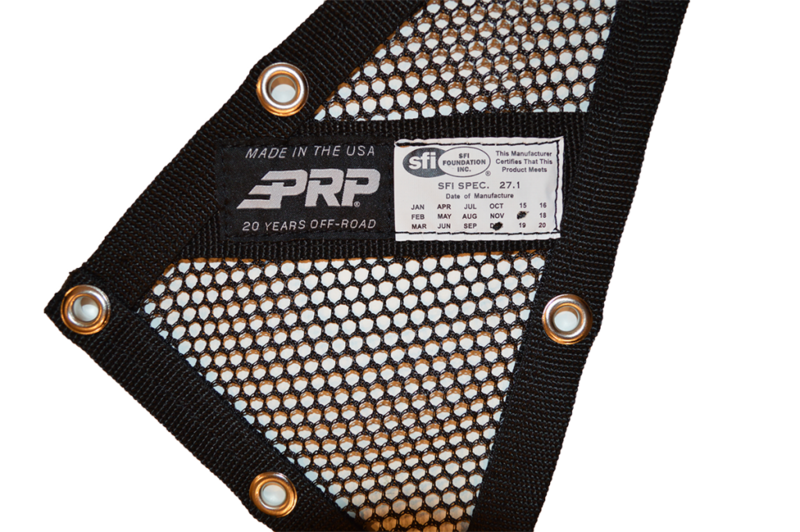 Lucas Oil Off-Road Racing Series – SR11 Side Window Nets – Window nets must be certified to SFI spec 27.1 and have the manufacturer’s SFI label attached. PURE Off-Road Desert Series – FORMULA UTV INT’L approved safety nets are mandatory on all vehicles. Read more for exact specifications. Southern Rock Racing Series – Wrist Restraints or Window nets/Roof Panels are required. Did we miss your race sanction? Leave a comment and we’ll add it to the list. This entry was posted in FAQ and tagged Off-road, SFI 27.1, Window Nets.